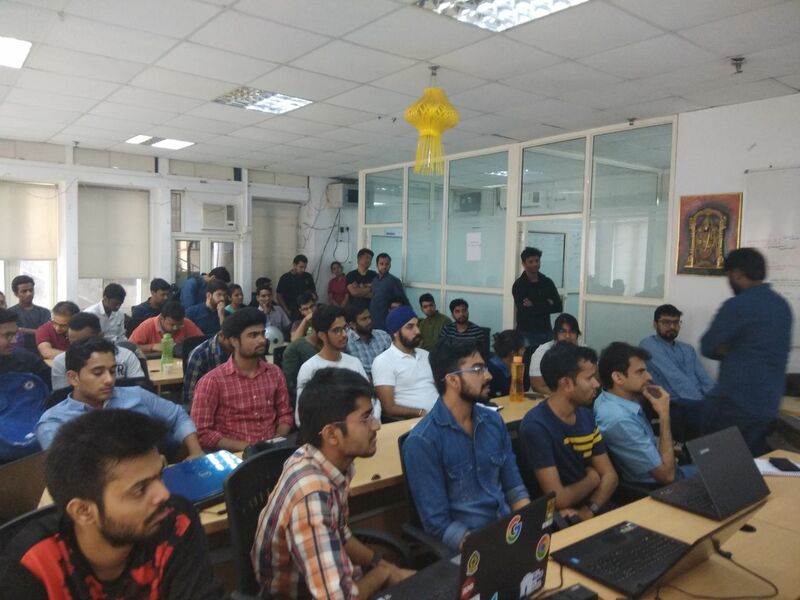 This time the meetup was at Srijan Technologies, Connaught Place, Delhi. And everybody was already half way through the introduction session when I reached (yeah, I was late). Everybody introduced themselves and we straight away jumped into the talks without any further ado. Although Gurman is a journalist but she knows quite a bit about telling stories through code. Basically the talk was about how to convert data, which is difficult to comprehend, into more understandable visuals. She showed that visuals can make it easy to understand data by giving examples like Dowry deaths in Delhi, Paid Twitter followers, Decline of female singers in Bollywood music, etc. etc. According to Gurman, the process of telling stories through code can be broken down into three parts: 1. Collecting information; 2. Making sense of it (analyse); 3. Communicating the information. Here these steps are looking like cakewalk, but actually the story is different. However, if you want know more about it, I suggest you go ahead and check out her slides, and do make sure you click on the links. Otherwise you’ll miss interesting stuff. Next talk was by Sidhant Agarwal on connecting IOT with AI. Exciting, isn’t it? Rajat introduced him and handed over the stage. Sidhant started his talk with explaining what is data science and from there lead it towards Artificial Intelligence. With examples he explained how a software can learn to recognize patterns if we expose it to enough relevant data. When he was through half of the talk, he turned the talk towards Internet of Things and explained what it is and what impact it can have. Once we collected all parts of the puzzle, it was time to put them together. 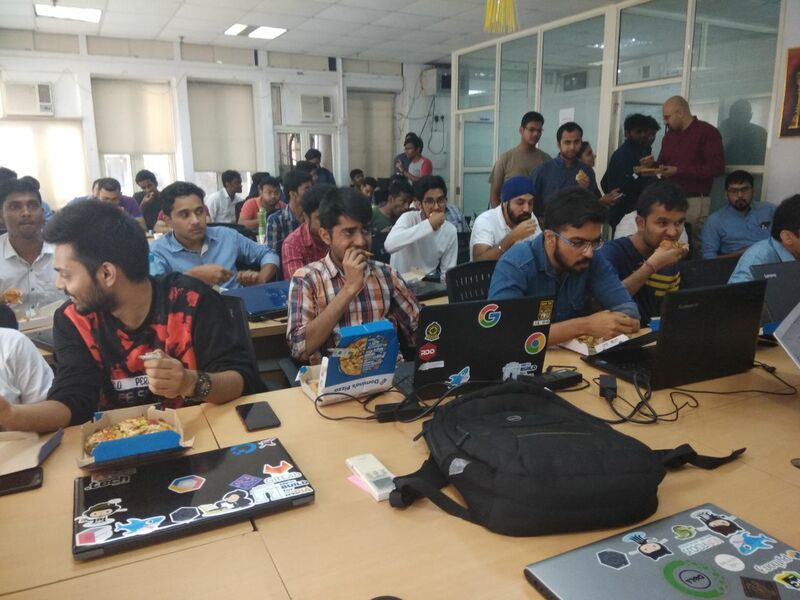 Sidhant showed how one can connect them, Artificial Intelligence and Internet of Things, efficiently with Intel hardware - Intel NUC Gateway. It really creates an impact on the audience when speaker gives a demonstration to support his/her point. And Sidhant did the same. He connected an Intel NUC Gateway to his PC and showed that how it can detect smiling human faces and send data back for further analysis. I’m not able to fathom how much impact this technology can have on the world. At the end, as always, we had pitching and hiring session. In case you are looking for a job, internship or looking to hire someone for some job. So in case you are looking for a job or to hire someone, you might want to come and check this next time at the next meetup, may be you'll find what you are looking for. So that was all for the day. I hope you enjoyed it and we will see you in the next meetup. Until then, PyDelhi signing off. Good bye.